Mezzo-soprano Amanda Crider has been praised for her “focused, golden toned voice.” She was heard last season with FGO as Cherubino in Le Nozze di Figaro and Mallika in Lakmé. Ms. Crider has also performed with such companies as New York City Opera, Glimmerglass Opera, Gotham Chamber Opera, Opera Boston, Des Moines Metro Opera, Sarasota Opera, and Cincinnati Opera. 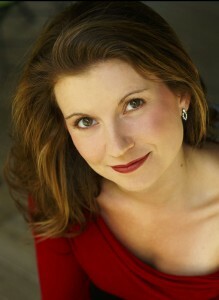 Ms. Crider was a 2009 Finalist in the José Iturbi International Voice Competition, the 2nd Place winner in the 2008 Shreveport Opera Singer of the Year Competition, 2007 Recipient of the Palm Beach Opera Vocal Competition David and Ingrid Kosowsky Award, Finalist in the 2006 Oratorio Society of New York Vocal Competition and 2005 Center for Contemporary Opera Competition, and a 2003 recipient of the Richard F. Gold Career Grant from the Shoshana Foundation.